If blogging/affiliate marketing business is what you’re interested in, I thought that writing an income report here is a good way to show you what it took me to get to where I am now. And, more importantly, INSPIRE you on your journey to online success. This is my first time writing an official income report on my blog. Frankly, I’m kind of having doubts whether I should continue doing this in the future and how to go about it the best way. Can you share in the comments if you’re enjoy the “income report” posts? If yes, any particular structure or topic(s) you’d want to see me cover in such posts? I will try to include as much info as possible and make it easy for you to understand, but your feedback is welcome and highly appreciated! In October 2018, my Amazon niche website finally broke 4 figures. Specifically, $1585.99 USD, which is approximately $2100 in Canadian dollars. (Hey fellow Canucks!). Making this much money definitely exceeded my expectations. Because in September 2018, I made just a bit over $500 USD. Because I used Amazon OneLink tool, I also receive commissions from Amazon UK, Amazon EU and Amazon Canada stores. The commissions are very small, but it’s still pretty cool. You’ll have to work on your mindset and treat your website as a BUSINESS from the start. Understand that achieving real results with your website business requires that you put real work in. What you can do is have PROPER guidance so that your journey is a bit easier as it was for me. Instead of jumping around from one resource to another, back in 2015 I decided to become a part of online business training centre called Wealthy Affiliate. This platform tremendously contributed to my success online. And that’s exactly the strategy I used myself when I built my Amazon niche site. There are a lot of factors involved that determine how soon your website will start gaining traffic and how fast you start to make money. Barely have any social media presence. And still I think my website did a good job. October 29, 2018: My website turns 1 year old and makes 4 figures! (September and October earnings haven’t been posted by Amazon yet). I’d like to spend a bit of time talking about the tools and services that helped me build my Amazon website and make 4 figures in 1 year. These are the ones I personally use and highly recommend. WA is my #1 recommendation for beginners and experienced affiliate marketers alike. And if you’re a total beginner, there’s no better place for you. Because it’s has a step-by-step guidance the whole time you’re a member and it offers a variety of services/tools all under 1 roof. It’s 100% cost and risk free. I highly encourage you to go here and create your FREE Wealthy Affiliate account and you get access to your training immediately. And if you’re a Premium member, I encourage you to take advantage of the Black Friday yearly membership deal with almost 40% off! When you click on my Wealthy Affiliate links anywhere on this page, I get credit should you upgrade to a paid membership option. See, when you do sign up through me, I get notified and we’ll be able to have a private 1-on-1 coaching within the community. I highly appreciate my referrals and I do my best to help them. All you have to do is use my link before signing up for your FREE account here. Let’s talk about the 2nd tool I personally use and recommend. Jaaxy is a keyword research tool which I’ve been using for over 3 years already. 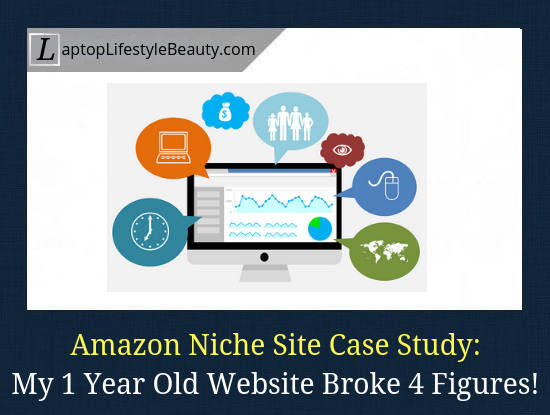 I use it to find relevant keywords for my Amazon niche site and create articles around it. Personally, I find it newbie-friendly and pretty easy to use. And just like Wealthy Affiliate, you can also test drive it for free. (You get up to 30 searches as a free user). The founder, Dom Wells, actually started his online journey at WA too. I listen to HPD podcast, read their articles, and even use their article writing services. They have a lot better writers than if you were to hire someone from Fiverr, for example. While I still write a lot of content myself, having freelance writers definitely helps. In the beginning, you’d have to learn and do everything yourself, unless you have enough capital and you just want to leverage other people’s knowledge and skills to build your business. Human Proof Designs can help with that too. You can order their ready-made niche sites here and have the HPD team work on it. It’s a very convenient way for people who have the capital to invest and want to be hands-off (outsourcing most of the content creation). 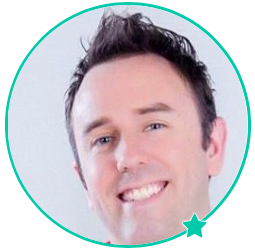 The founder of Backlinko, Brian Dean, is a very well-known figure in the SEO/online business world. Thanks to his tips, I learned even more about ways to get my posts ranked high in Google and getting people to click on my site. If you’re a newbie, the info on that blog is might be a little complicated. But if you have a bit of experience and understanding on how websites work, then you’ll certainly love the resource. I now host my websites on Wealthy Affiliate but some people don’t want/need all the additional features it offers, like support, training, keyword tool etc. Most people want to just “dip their toes in the water” and just build a simple blog and see how what it feels like to be blogging. Bluehost is a great alternative to Wealthy Affiliate hosting. The aforementioned 5 resources are highly recommended. Your Thoughts? Any Questions? Concerns? As you can see, I didn’t get to where I am overnight. It’s been a long journey filled with lots of hustle and my fair share of mistakes. But it was all worth it and I am starting to see some real results. And remember that with proper guidance and some work, YOU CAN DO IT TOO! Do you enjoy reading income reports and how can I improve? What’s your level of experience in making money online? I always respond to all the comments and will do my best to help you with whatever issue you’re facing.